Host: Welcome to Infectious Questions, a public health podcast for the National Collaborating Centre for Infectious Diseases. At NCCID, we help those with infectious disease questions, connect to those with answers. On this episode, we focus on Lyme disease, a prominent issue in the media these days and a matter of concern among public health practitioners in Canada. Today we look at Lyme’s risk of transmission and prevention strategies. Our guest expert is Dr. Eilish Cleary. Trained as a primary care physician, Dr Cleary has worked in a variety of settings including Ireland, Sierra Leone and the Norway House Cree Nation in northern Manitoba. She currently works for the federal government as a community medicines specialist in First Nations and Inuit health. Here, Dr. Cleary speaks with NCCID’s Zeeshan Qadar. Zeeshan Qadar: So, generally speaking, what do primary healthcare practitioners and public health personnel need to know about Lyme disease? Are there particular risks to some people over others? Dr. Eilish Cleary: Well, Lyme disease is caused by a bacteria called Borrelia burgdorferi which is carried and transmitted by ticks. Now, there are many types of ticks found in Canada; the ones that carry that carry Lyme disease are called Black Legged or Deer ticks and in the west, in British Columbia, there are also Western Black Legged ticks. These ticks have been found over much of Canada for many years and particularly in southern Canada on a sporadic basis. So we have seen cases of Lyme disease over time but, likely as a result of climate change, these ticks are now found to be breeding in places that in the past was not suitable for them to breed. They like warm, moist, shady conditions and so are most commonly found in wooded or forested areas usually along the edges or in shrubs, loose leaves and so on, or tall grass. So people who frequent those areas, whether they’re working or playing, can potentially be exposed to the ticks. Now while the absolute risk of getting Lyme disease in Canada remains low it definitely is increasing and so it is important that healthcare providers be aware of the risk in their particular area in order to be able to manage their patients appropriately. Qadar: So what are the basic transmission mechanisms for Lyme disease? Cleary: Ticks need blood meals to survive and so they attach on animals, including humans, to feed. They can attach on any part of the skin but they are often found in creases and skin folds such as the groin and armpits and the hairline. Studies have shown that they need to be attached for 36 to 48 hours to transmit the disease and when they attach initially they can be very small. Like the nymphs, the baby ones, are the size of a poppy seed and the adults are the size of a sesame seed so they can be difficult to see. But as they feed they do engorge and so they do become easier to see and also easier to remove at that point although ideally they should be removed as soon as possible. Qadar: How can public health personnel advise the public about prevention? Cleary: Well, first of all there’s the big picture prevention: we do recognize that this change in habitat is most likely as a result of climate change and so I think it’s important for us all as healthcare providers to say “Well, what can I or we do to prevent or reduce the impact of climate change?” Then of course there’s more specific things. We can mitigate our environment to a certain extent, so there is advice and it’s easily available online about how people can design their yards or recreational areas to reduce the chance of ticks living in and around that area. And that typically is, you know, keeping grass short and maybe cutting back some of the undergrowth allowing more sunlight in so that there’s less humidity, you know, reducing the number of ticks that are around. Then the personal protection: so there is advice that’s widely available about how to protect a person if they are likely to be exposed to ticks. So the typical sort of advice that is given is, you know, to wear long pants which often people do anyway when they’re out in forests or woods because they want to avoid scratches, and there are insect repellents that can be worn. However, there is a little bit of debate about this. Light-coloured clothing is sometimes advised so that you can see ticks more easily but there are others who say that the ticks are actually more attracted to light colours and you should wear dark. There are also some people who say well they’re never going to wear long pants because they believe that they can actually feel ticks better on their skin if they’ve got short pants. So what I would say about that is, whatever the person’s going to do the most important thing is to be aware of the likelihood of being exposed to ticks. Then, when you get back home, do a tick check. It is recommended that people do a tick check once a day when they’ve been in areas where there could’ve been ticks and perhaps when they’re in the shower just have a look around and check all parts of your skin to see if there’s a tick attached. Then once you’ve identified it, promptly remove it. Again, there is advice on the internet about how to remove it properly. The easiest method is just to get a tweezers and pull it straight out trying not to leave parts of the tick behind because they can cause secondary infection. Qadar: So the last question I have for you is, in your opinion, is there anything public health personnel and primary care providers should do or learn to better equip themselves for this infectious disease? Cleary: Being aware of Lyme disease is really important and it is on the increase and the diagnosis in not always easy. Early on it’s typically a clinical diagnosis and then testing is important but it’s important to get that testing done at an accredited laboratory because the types of tests and the interpretation is really important. There is currently no vaccine available for this disease and, because we are expecting to see an increase in Lyme disease, to encourage work and research into the development of vaccine, I think is important. Knowing how to respond to a case of Lyme disease or a potential case if a patient turns up is also important; particularly, knowing the risk of the particular area in which you work because the risk varies across the country and, as mentioned, the absolute risk is low but there are some areas that have a higher risk of having ticks that carry Lyme disease. And public health authorities in most jurisdictions have information as to where those areas are. Knowing how to handle a tick if a person comes in carrying a tick and saying they’ve been bitten by a tick is also important because it’s very, very important not to link a fact of a tick being infected with a diagnosis of Lyme disease in a patient. The only reason to send away a tick is to add to the body of surveillance information to know the risk level in the particular community and using the fact of a positive tick is unreliable in terms of treating the patient. First of all, there are other viruses and bacteria that ticks can transmit and even if a person is bitten by an infected tick, up to 97% of them will never develop Lyme disease. And so we say it’s important to treat the patient appropriately and then if you want to send the tick off for surveillance purposes then that can be useful if that’s something that the public health authorities in that area have a program for. And the last thing I’ll say is that knowing how to test and treat is really important: most Lyme disease can be cured with short term antibiotics and prophylaxis of people who have been bitten is generally not recommended. However, there are certain circumstances. So understanding the clinical guidelines is an important thing to do so that you are equipped to be able to respond to a patient if they come in with Lyme disease. Host: That’s it for this episode of Infectious Questions.  If you have public health questions regarding Lyme disease e-mail us: nccid@umanitoba.ca or call our toll free line 1-844-847-9698 and record your question there. Infectious Questions is a production of the National Collaborating Centre for Infectious Diseases. Production of this podcast has been made possible through a financial contribution from the Public Health Agency of Canada. Note that the views expressed here do not necessarily represent those of the Agency.